Våra pigmentfärger genomgår en uppdatering så kontakta oss för senaste färgkartor. Art. nr. 5001. Kategori: Mikropigmentering. 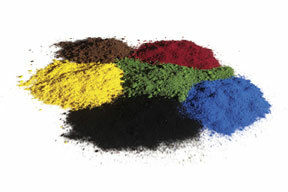 Especially with pigment colors there are high requirements as to quality and safety. Our colors are therefore created in close collaboration with doctors, medical experts, chemists, users and our product development team. When manufacturing and developing the pigment colors we comply with the standards set out in the KVO (cosmetic standards) and GMP (good manufacturing practice). However, in many areas within our company we have set up much stricter rules. For example, only pigments of a pharmaceutical quality that comply with category 1 of the EU Cosmetics Directive are used by us. This means that we guarantee that amines containing aromas as well as heavy metals will not be found in our colors. By only using high-quality substances our colors can easily be worked with and incorporated.